I prefer this one. 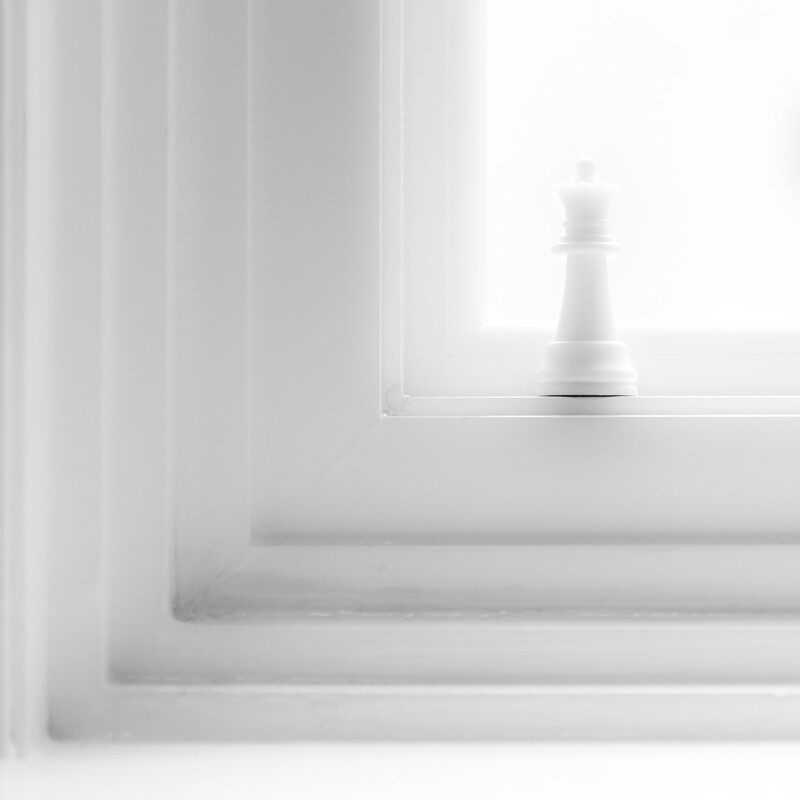 I enjoy how the window frame leads to the chess piece. Your other one is good but I LOVE this one! The steps up and the light it is fading into are fantastic. Fav. I like this one the best, too. The lines and angles make me happy. :) Fav. I prefer this one too. Love the format, the lines and this little black line under the figure. Beautifully composed, I like the lines. I love those lines, this is awesome. Great composition and lovely subtle shades. I have to be irrelevant and ask if you did anything special in processing to bring the shadows to near perfection or just great camera settings? Love how the corners lead you to the chess piece. So nicely composed! Another great shot! FAV. Love the bright background. Feels a bit dreamlike. Creative and cool - fav! So far, 21 comments and 21 Favs... I'm not about to break that symmetry! I like this one a lot! The combination of curves and lines, and all in what you would think is white. Very effective. Wow!And this is only practising? Fav! Absolutely gorgeous!! You are the master of these shots!! There are so many gradations of white here, and the transition is so beautifully captured!! Love the lighting, the crop, the composition!! FAV! !